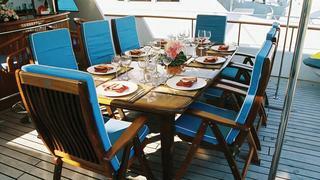 Keel laid 1952, British MOD Ham class minesweeper. 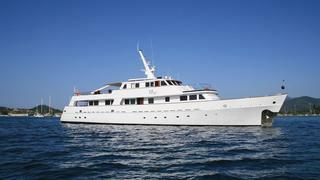 Converted into a yacht in the late 1970’s with a very comfortable classic styling to the interior. 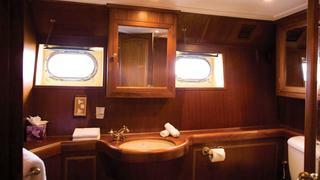 The Master suite with its classic Mahogany joinery and well finished bathroom is situated on the main deck as is the yacht’s galley and Large saloon & dining area. 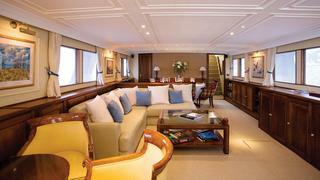 The saloon opens on to the aft deck with unobstructed views over the stern of the yacht. 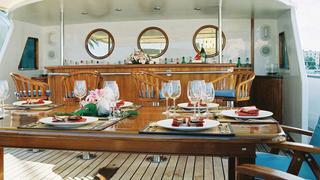 The aft deck has a sheltered outside dining area. 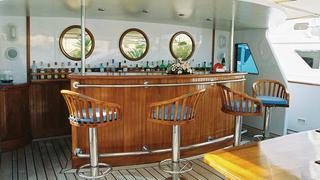 The upper deck boast a beautifully finished mahogany bar and a large sheltered outdoor dining area with ample room for twelve guests. 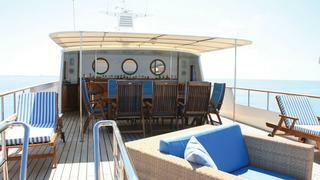 The large open and newly laid(2009/10) deck lends itself to sunbathing and entertaining guests onboard. 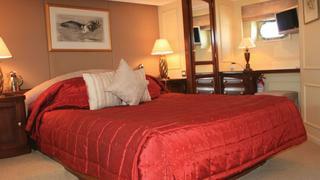 To the front of the bridge there is a large cushioned area for enjoying the delights of the sun. 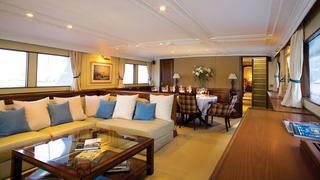 The lower deck holds the VIP suite to the aft of the yacht; there are two further twin guest suites forward, each housing a drop down Pullman berth should 10 guests be staying onboard. 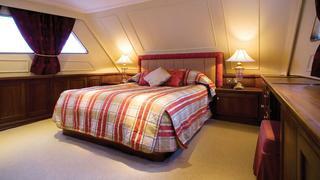 All guest cabins are beautifully finished with Mahogany cabinetry, sympathetic paint colours and luxury linens. 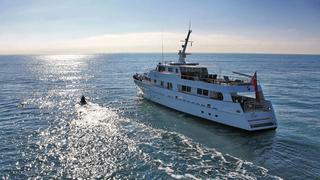 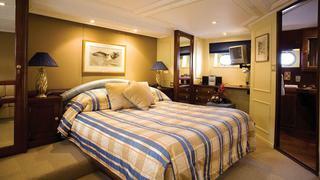 The crew accommodation is situated in the recently redesigned (2008) cabins at the bow of the yacht.